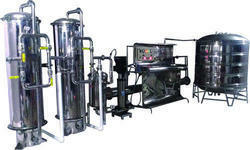 Offering you a complete choice of products which include turnkey mineral water plant project. We are one of the leading manufacturers of Turnkey Mineral Water Plant Project of soaring quality standards. They are fabricated by using qualitative material and hi-tech machines, these water plants are successfully catering diverse customers. We also customized these turnkey based water plant as per client specification and requirements.